Work with local leaders in asphalt production and construction services. When seeking reputable construction firms to tackle your next project, your eye is always on the bottom line. While price is critical, you also want bids from experienced companies with full-service capabilities. After all, chasing the cheapest tender or most attractive cost estimate won’t always lead to better quality work. Basic Construction offers the total package when it comes to asphalt paving jobs, as well as a number of other services critical to complex construction jobs. 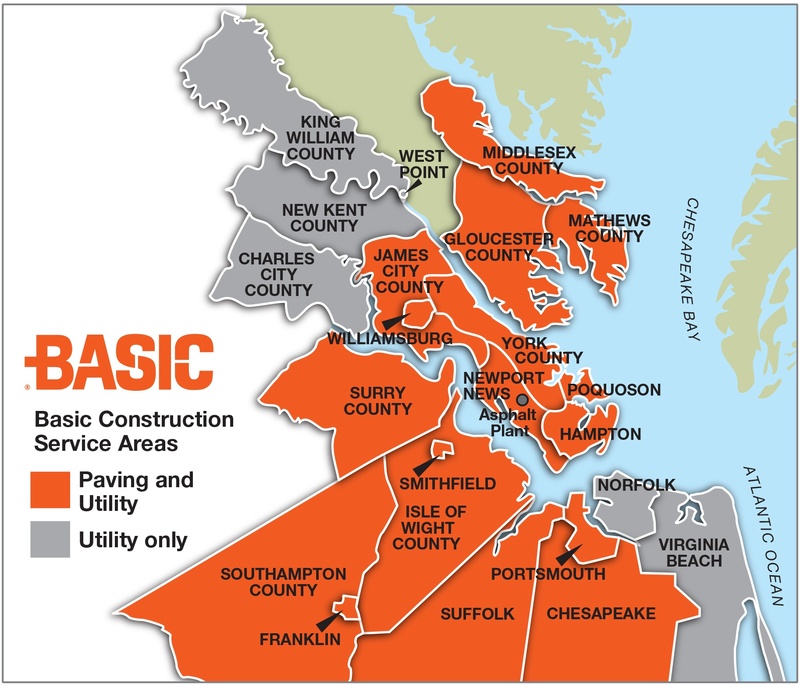 We have the materials, the in-house experts and about 100 years of experience to put together attractive tenders for projects all around the Tidewater region. This includes developing quotes for those special jobs requiring some extra-special creativity. You’ve heard about how too many cooks spoil the broth? Well, too many different construction contractors can spoil a site – and break a budget. Basic Construction allows you to build from the ground up while limiting the number of contractors and subcontractors you bring to the table. We can do it all, from providing the asphalt for any paving needs to performing the site preparation and grading. The more streamlined and centralized your operations can be, the better for everyone involved.